Dr. David Ellis and staff announce their annual Summer BBQ Event. This year’s event will be bigger than ever and will feature discounts, special draws, and free goodie bags. Attendees of the Art of Facial Surgery BBQ Event will be eligible to receive free makeovers courtesy of the noted Jane Iredale Makeup Artist, Samantha Compton. Dr. David Ellis and the Art of Facial Surgery team are pleased to announce the details of their upcoming annual Summer BBQ Event. The event will take place on Friday June 5, 2015 from 12:00pm to 6:00pm at 167 Sheppard Avenue West, Toronto. The Art of Facial Surgery BBQ Event will feature one-day only discounts on all products, treatments, and services. Special savings on Botox Cosmetic™, Juvederm™, laser hair removal, photofacials/IPL, laser skin resurfacing, laser skin tightening, vein treatments, PRP cosmetic, PRP for hair loss, and more. All skin care products including ZO Skin Health and ZO Medical will be on sale. Attendees of the Art of Facial Surgery BBQ Event will be eligible to receive free makeovers courtesy of the noted Jane Iredale Makeup Artist, Samantha Compton. There will also be draws taking place throughout the day giving clients the chance to win free services and products from a variety of participating brands including Jane Iredale, Botox, Juvederm, ZO Skin Health, and Latisse. Guests are able to bring friends and receive an extra ballot for a better chance to win. The event will also provide all guests with a variety of drinks and food. Clients of the Art of Facial Surgery will have the option to pre-register for the annual event in order to guarantee a goodie bag. Pre-purchase and phone purchases are available for those who want to take advantage of their promotional pricing to use at another time. 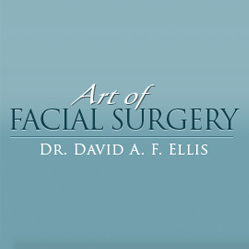 The Art of Facial Surgery is one of the leading facial plastic surgery practices in the GTA, led by Dr. David Ellis with international recognition for his work in his field. Dr. David Ellis is a Professor at the Department of Otolaryngology at the University of Toronto and teaches Facial Plastic Surgery at The University Health Network. He specializes in surgical and non-surgical facial cosmetic procedure and is one of the top injectors in Toronto. Pre-register for the Art of Facial Surgery BBQ Event and learn more information about the practice by visiting their website directly at http://www.ellisplasticsurgery.ca or calling 416-229-1050.